Carmichael Grafix, LLC has over 15 years of experience, working with large and small businesses in the Tampa Bay area and across the country. We work with our clients to create a professional look & feel and to provide consistency in their print and online image. We are their graphic arts department. We are W/MBE certified with Hillsborough County, the City of Tampa and with the state of Florida and DBE in Florida with USDOT. Having problems getting the correct size images for your Social Media cover photos and headers? We can help with that too! 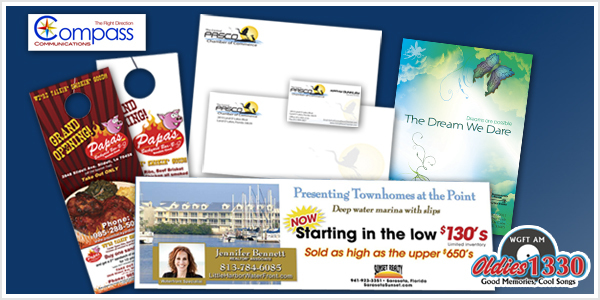 The convenience of your own graphic arts department without the overhead!